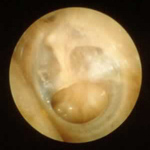 A mold impression is made of the ears to allow a snug and comfortable fit. Turnaround time between mold and delivery is about 10 business days. We also do carry factory pre-made molds. Prices range from $10 to $100. 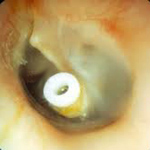 Sample custom plugs are shown to the right. They come in all different colors that YOU get to pick! 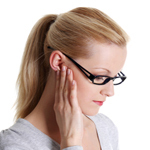 Although many options are available, sometimes inadequate protection is obtained from over-the-counter options due to comfort, size, and/or sound leakage. 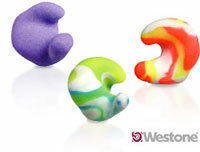 A custom mold impression would provide the best comfort and fit resulting in the best hearing protection. Turnaround time between mold and delivery is about 10 business days. Hearing protection, yet allowing for faithful pitch awareness and minimal sound distortion. 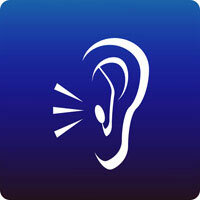 These include infrared loop systems for TV and radio, amplified phones, personal body-worn amplifiers, and FM systems. Prices range from $150 to $2000. 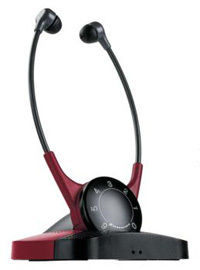 An example of a Sennheiser infrared system is shown to the right. 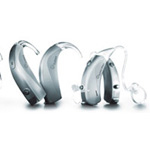 We sell replacement batteries for all hearing aid products as well as provide repair services. Please ask if you have any questions. Please contact Catie Chalmers, AuD in our office by email or phone for more information.